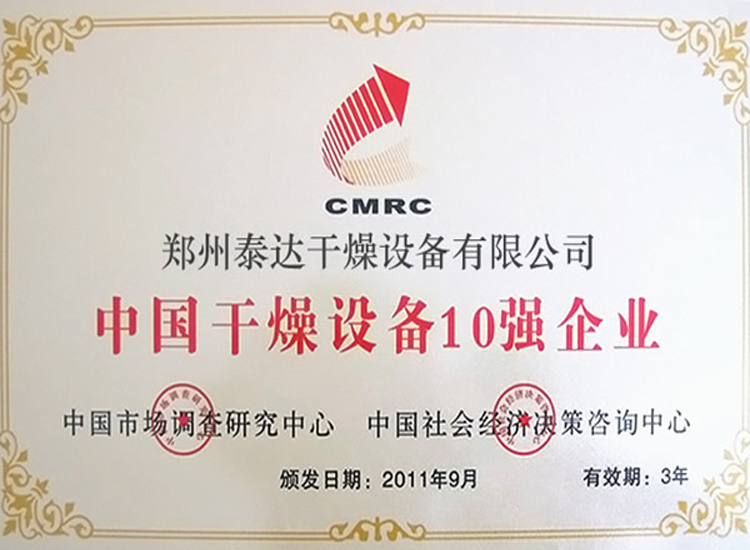 Applications: it has been successfully applied to fields such as food, chemistry, petrification, dyestuff and industrial sludge. It is a kind of indirect heat exchange equipment with compact structure and high thermal efficiency. It is mainly composed of upper cap, rotary shaft, shell body (with jacket), bracket and diving device. 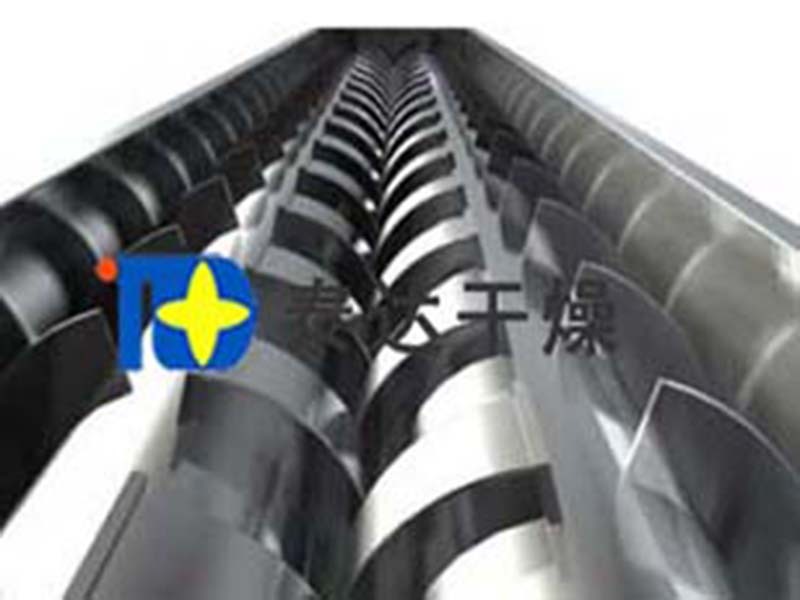 As core part of this equipment, rotary shaft is composed of hollow blades and hollow shaft with special flow passage. Main equipment is installed horizontally or obliquely. Materials enter from fore end. There is a small angle among shell body, rotary shaft and horizontal level. Relying on rotation of rotary shaft and self gravity, products move toward discharge end and flow to next process through flow overflow port. Through heat or cooling media in hollow blades, hollow shaft and body shell jacket, heat is transferred indirectly to materials and drying purpose is fullfilled. Paddle dryer is mainly applied to drying, reacting, cooling, crystallizing, evaporation, heating disinfection and low temperature calcination. It is applied to drying orgainic materials, inorganic materials and thermal sensitive materials in vacumm state. This machine can realize multiple uses. According to different heat exchange media, paddle dryer can be divided into steam type (saturated steam and superhot steam) and liquid type (hot water, heat conduction oil, hot coal, cold coal, soften cold water and chilled water). It can be operated both constantly and intermittenly. Heat exchange media (steam, heat conduction oil and water) separates with products all the time. Paddle dryer can be divided into single shaft, double shaft and four-axis shaft according to the number of shaft. According to different operation pressure, it can be divided into vacumm, normal pressure and positive pressure type. Paddle dryer shaft rotates in relative mesh. Special leaf structure ensures the hollow blade on both sides of the change and the heat surface of material full contact, so that the materials in the blade shaft are extruded and relaxed effectively. 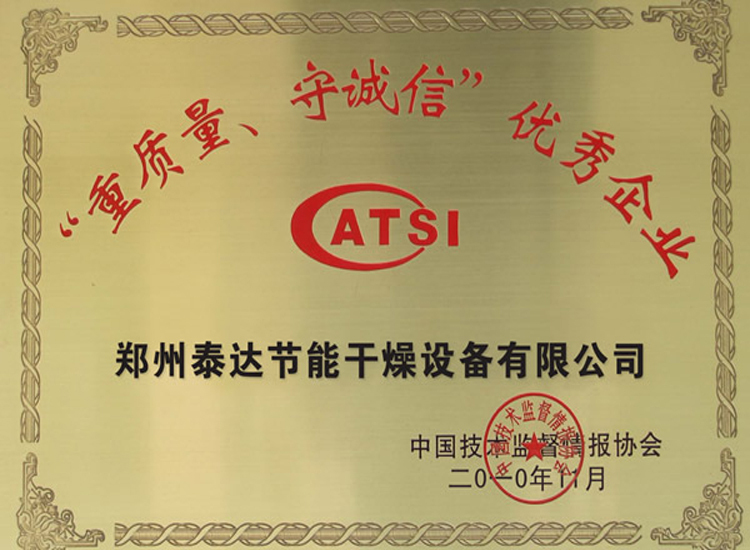 Heat transfer surface combines with self-cleaning function. Material particles and hollow stirring blade surface of the relative movement of washing wash away the leaves attached to the surface of the material. Rotating shaft in operation has maintained a clean heat transfer surface. 3. Wide application range: adopt various hot media; can not only dispose thermal sensitive materials, but also can dispose materias which need high temperature; common media: steam, heat conduction oil, hot water and cooling water. It can be operated both constantly and discontinously. It can be applied to many fields. 4. Less pollution: no use of carried air; less powder dust carried; less evaporation amount of material solvent; easy to dispose; for materials with pollution and situations where solvent needs to be recycled, closed circuit can be adopted. 6. 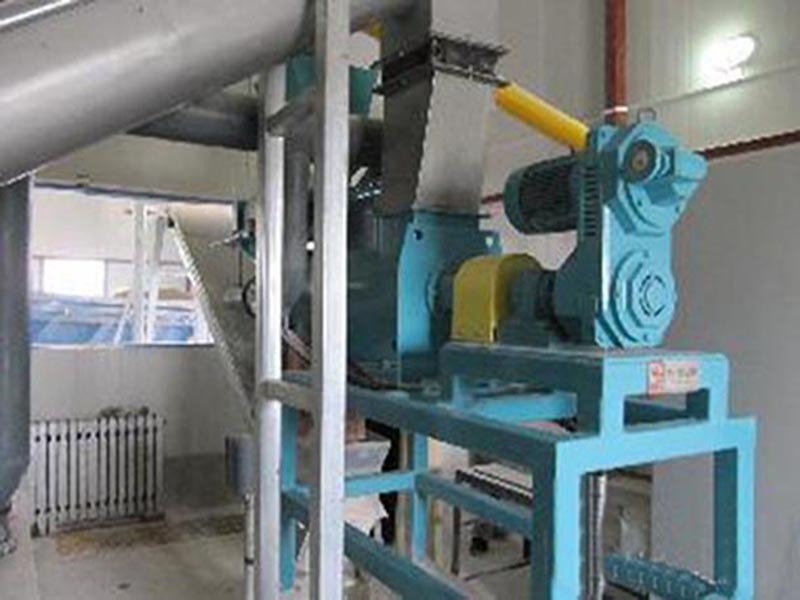 Stable operation: Due to the special compression of the wedge type pulp, the expansion stirring effect, the material particles are in contact with the heat transfer surface, the temperature and humidity of the material in the axial section, the gradient of the mixing degree is very small. Thus, the stability of the process is ensured. Wedge type hollow blades are densely arranged on the hollow shaft. Heat medium passes by the hollow shaft through the blades. The heat transfer area in effective volume unit is very large. The temperature of heat medium is from -40 DEG C to 320 DEG C. heat media can be steam and liquid: such as hot water and thermal oil. In the process of indirect conduction heating, no air heat is carried out. All heat is used to heat materials. The heat loss is only caused by thermal radiation from body insulating layer to the environment. The wedge blade heat transfer has the function of self-cleaning. The relative movement between material particles and the wedge surface produces sheet wash, which can wash off attached to the material attached to the wedge surface. Heat transfer surface clean can be maintained during running process. 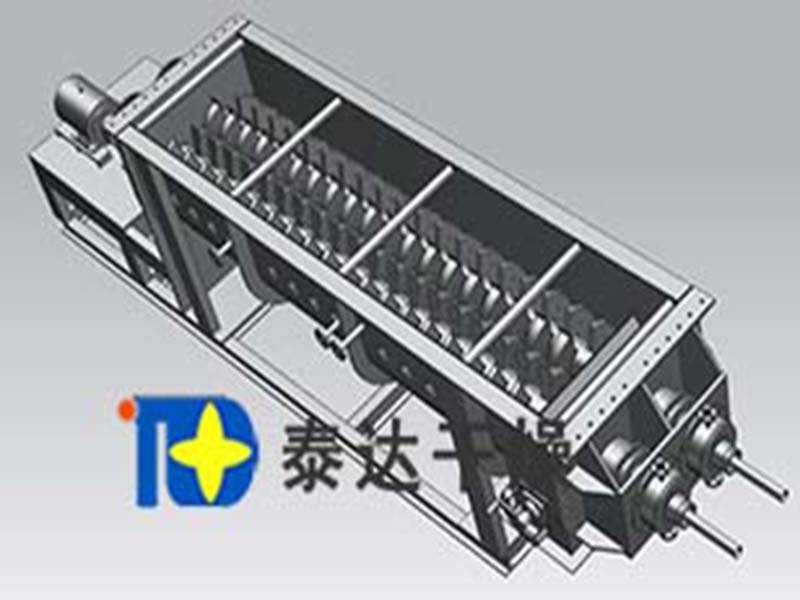 Generally, two to four hollow shafts are arranged in the shell body of paddle dryer. The shell has a sealing end cover cap and an upper cover which plays an important role in preventing dust leakage. Through rotary joint, heat media flow by jacket and hollow stirring shafts. The inner structures of hollow shafts are different according to different types of heat media in order to gurantee best drying effects. 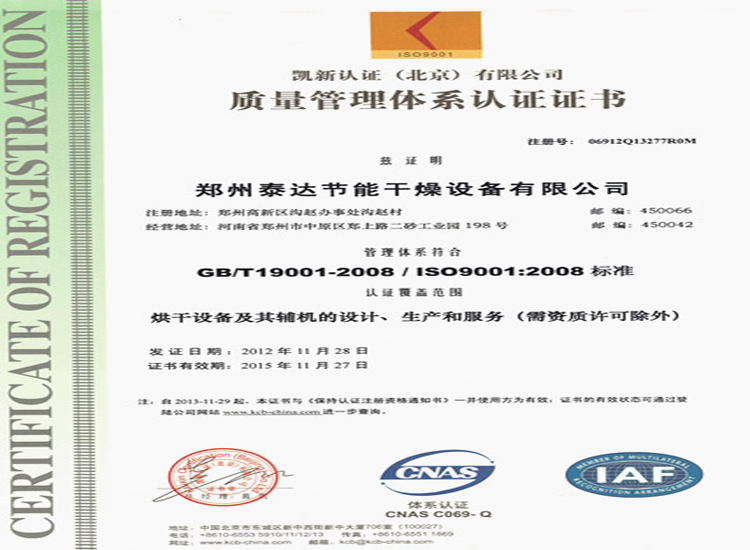 It has been successfully applied to fields such as food, chemistry, petrification, dyestuff and industrial sludge. The heat transferring, cooling and stirring features of this drier makes it finish following operations: burning (in low temperature), cooling, drying (solvent recycle), heating (melt), reacting and sterilizating. Stirring paddles are also heat transferring surface which enlarges heat transferring area and reduces disposing time. The wedge blade heat transfer has the function of self-cleaning. Compressing, expanding and stirring functions realize uniform mixing of materials. Materials form a piston movement along the axis. In the axial section, the gradient of temperature, moisture and mixture is very small. Working as heat media, heat transfer oil can finish combustion work in low temperature. For example, after combustion, Ca2SO4·2H2O is transferred into Ca2SO4·1/22H2O and NaHCO3 is transferred into Na2HCO3. Cooling process can be finished by adding cooling media such as water and cooling brine. 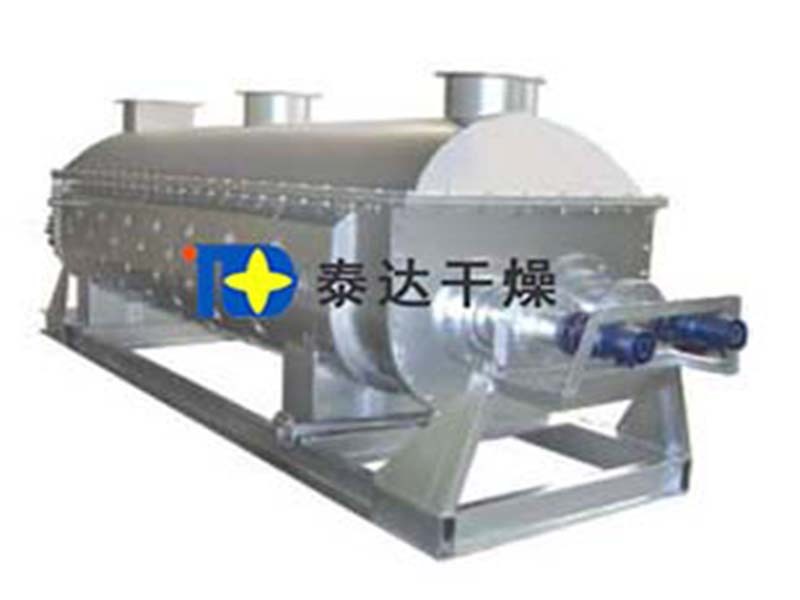 Paddle type alkali cooling machine used in soda industry has replaced old air type alkali cooling machine, which can save energy, tail gas disposal equipment and operation cost. The main fuctions of drying equipment are to make solvent recycle, energy consumption and environmental reach an ideal state. It is especially suitable for solvent recycle and thermal sensitive materials which are easy to burn and oxidize. 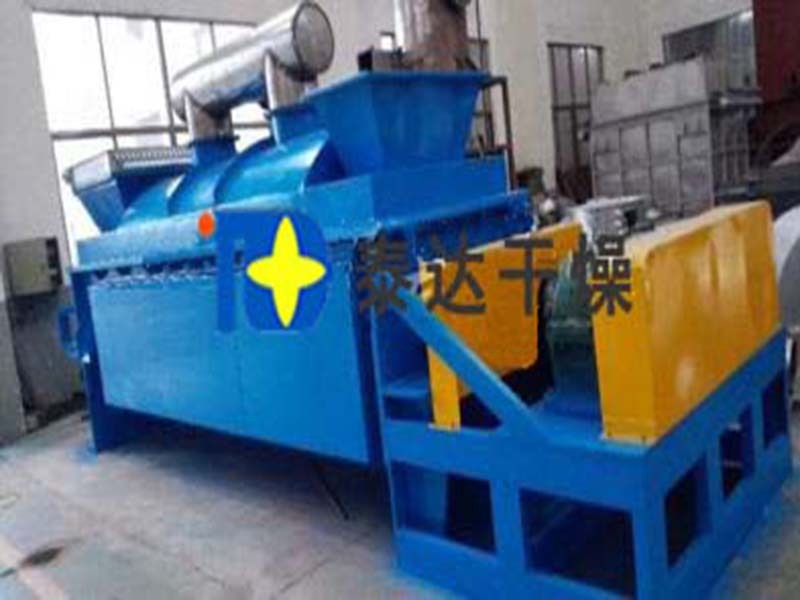 This machine has been widely applied to fine chemistry, pertrifaction and dyestuff industry. In the axial section, the uniformity of temperature, moistsure and mixture makes the equipment used for heating and melting or carry out some material reaction. 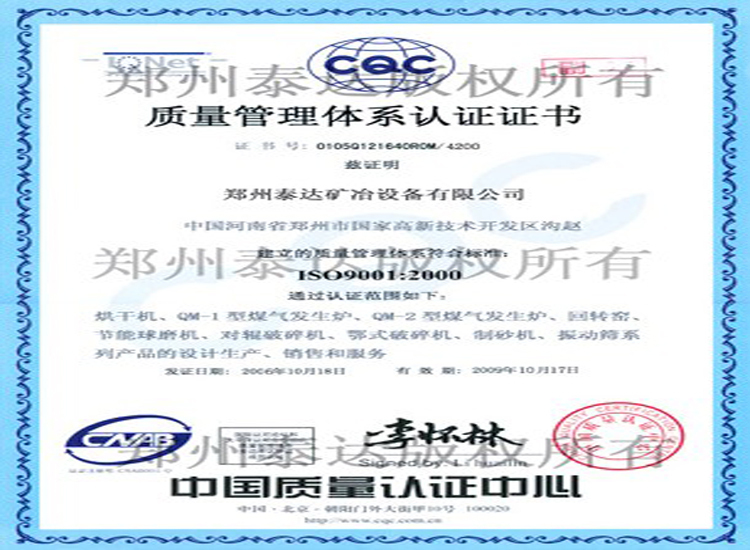 It has been successfully applied to compound fertilizer and starch industry. 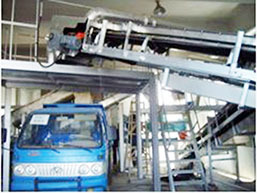 Paddle dryer can used to carry out sterilization disposal for wheat flour and food. The large heating surface in single effective volume can heat materials to a temperature suitable for sterilization disposal, which avoids quality change of materials owing to long time heating.